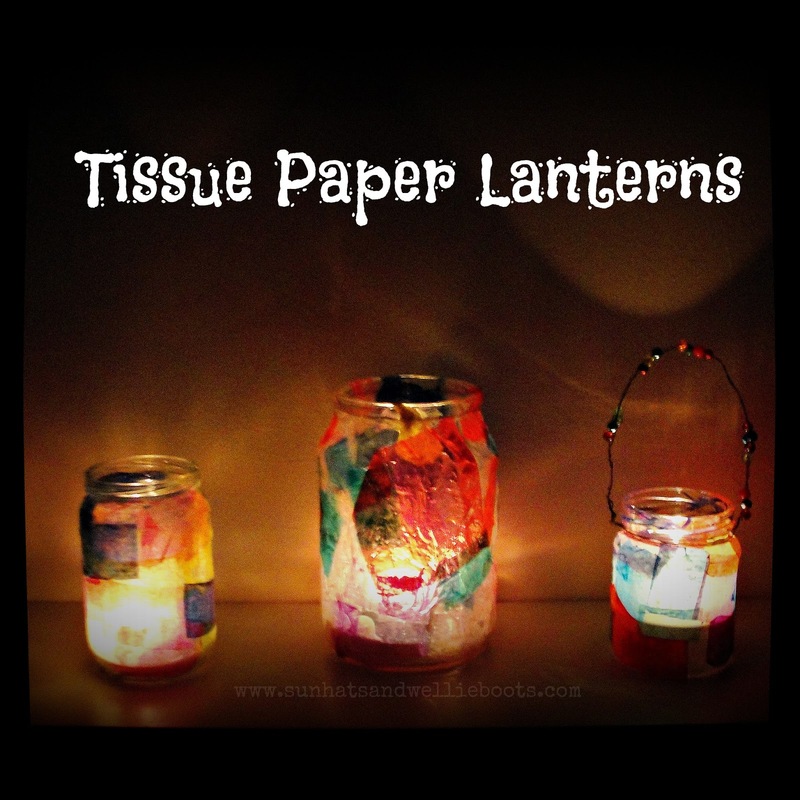 These tissue paper lanterns are fun & frugal to make, & create a beautiful glow perfect for brightening up this time of year. 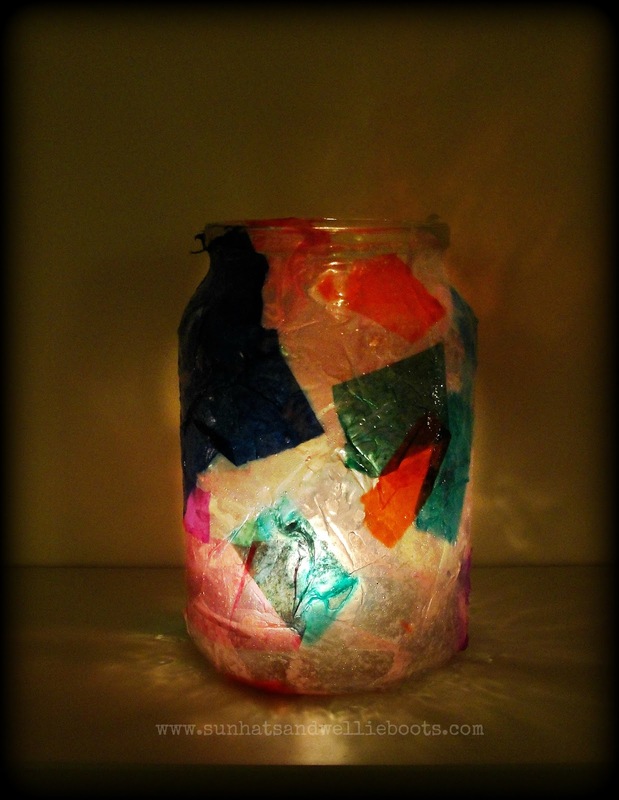 We make these every year for our Light Parties & the children have a great time designing their own lanterns. It's wonderful to see the care they take in creating them, & the excitement on their faces when a light is placed inside the jar & their creation lights up. Using a paintbrush we cover the jar in glue, & then stick on the strips of coloured tissue paper to the outside of the jar. 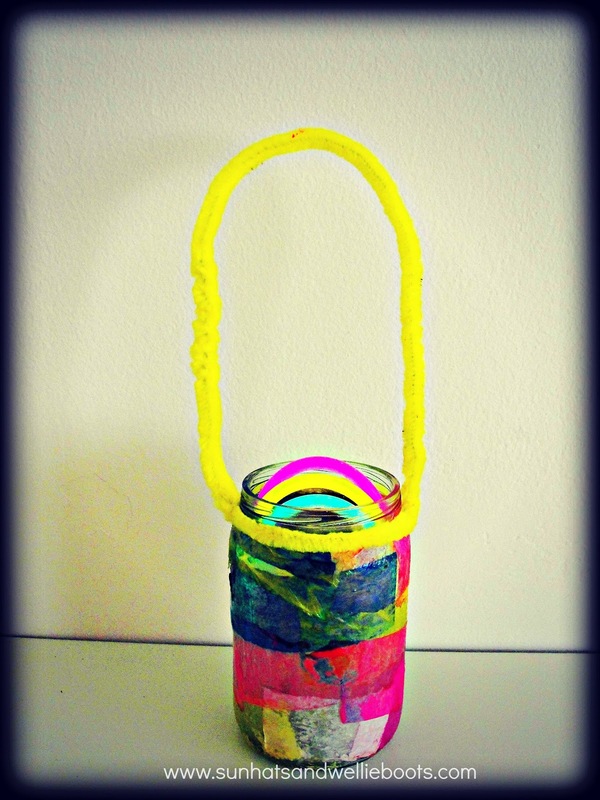 Keep adding the sections of paper until the outer jar is covered. 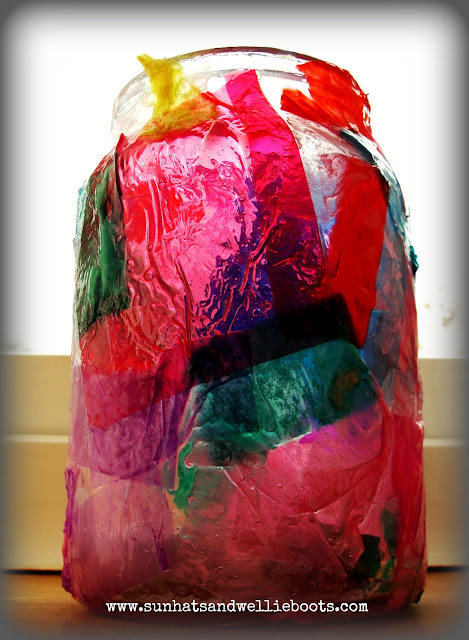 As the tissue paper overlaps it creates beautiful patterns & colourful shades. We used our hands to help smooth out the tissue paper & made sure all the paper was stuck to the jar (this just makes the next step easier). We then set aside the jar to dry for an hour or so. 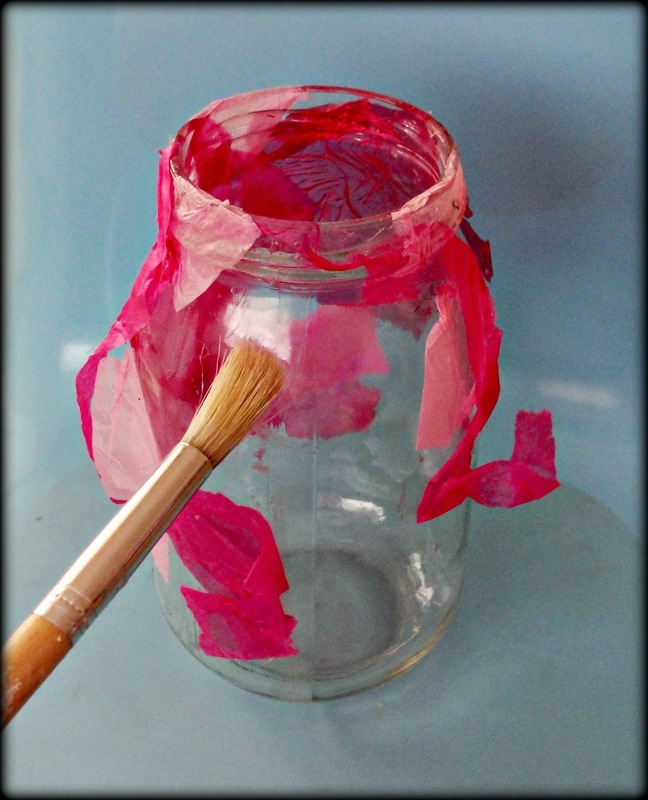 To create a seal over the tissue paper we paint a layer of PVA glue over all the tissue so the glue covers the outer jar. When this is dry it helps create the jewel like colours of the lantern. Once dry add your tealight to the centre of the jar. If you're not keen on using a lit candle, battery operated tealights or glow sticks are a great alternative. 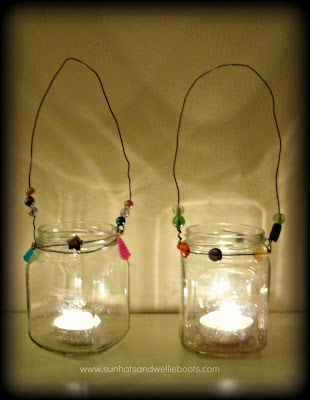 To add a handle to your jar you could use wire & bead handles like the ones we added to our Garden Lanterns below. Great for any party, celebration; of course Christmas, & they can be used year after year.